Extraordinary events are the specialty of Rock-A-Hula®, Waikiki’s largest Hawaiian show. Combine hula and fire knife dancing with legendary rock ‘n roll performances and you’ll bring your next event to life in ways you can’t even imagine. Whether it’s in the daytime or evening, your attendees will be mesmerized and energized. Browse our selection of packages or contact our Events Department at (808) 983-7884 or events@starofhonolulu.com and let us help you plan a rockin’ event! A breakfast or lunch event in the heart of Waikiki is a great way for your group to get the most out of their busy schedules. We’ll plan every detail, for groups from 100 to over 1,000 guests. Make sure to ask about our custom enhancements, including Fresh Lei Greeting, "Champagne" Toast, Hawaiian Culture Activities, Exclusive Airport Arrival Pick-up and more. Set the tone by starting your stay in Hawaii with Hawaiian dining in the heart of Waikiki. Choose from a Hawaiian Breakfast Buffet, Hawaiian Plate Lunch or Hawaiian Buffet Lunch. Your group will love the private open-air terrace cabana with Hawaiian background music. 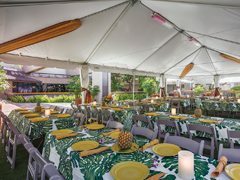 Customize your event with options from a Fresh Lei Greeting, Hawaiian cultural activities, entertainment and more. 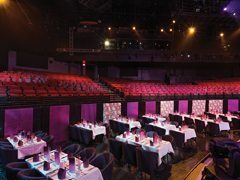 Plan the ultimate award ceremony for your incentive group with the Hollywood Awards® Event package. 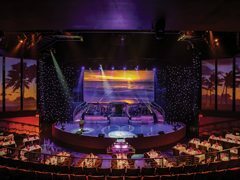 For 2 hours, you’ll have full use of the 750-seat Royal Hawaiian Theater® stage with spiral staircases, Waikiki’s largest 40’ x 29’ video screen and team of 6 managers and technicians. Customize your event with Cabana Dining and more! $17,000.00 set price. Maximum 700 guests, Daily, 2 hours before 4:00PM. Welcome your group to Hawaii with a briefing in the center of Waikiki! 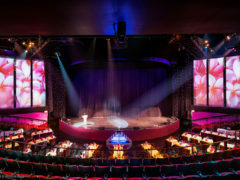 You'll enjoy exclusive use of the 750-seat Royal Hawaiian Theater® and use of the stage perfect for briefings as each group arrives at different times. Additional areas to enjoy include the Gallery Memorabilia and Gallery Old Hawaii, VIP Lounge, Green Room®, and Outside Terrace Cabanas. Convenient enhancements include transportation from the airport, Fresh Flower Lei Greeting and No-Host Bar options. From $20.00 per person, Group of 1,000 or more guests. 8:00AM-3:00PM. Hold your concert, hula contest or seminar using Waikiki’s premier 750-seat Royal Hawaiian Theater® stage with giant screen (40' x 29'), microphone, podium, sound system and house lighting with two technicians. Convenient enhancements from Cabana Dining to transportation and more are available to suit your needs. Available on Fridays for a special price. Ask for details.